My sweet little Squish turned 5 this month! It seems like just yesterday we were in the NICU shocked that she had to be taken out so early. She's getting so big and she is still the sweetest child I have ever met. 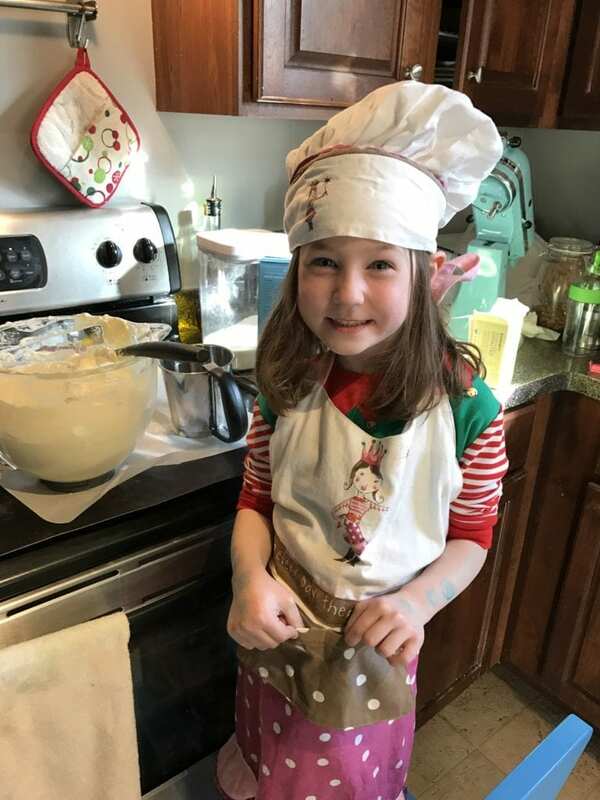 She is already learning how to read in preschool and her all time favorite thing to do is to bake or help us cook. 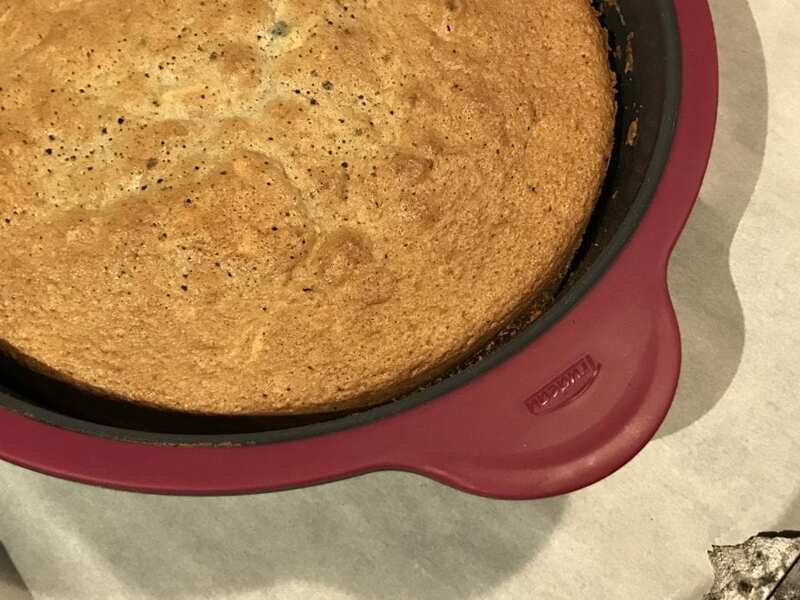 She requested that I make her a blueberry cake for her birthday so I let her help me out in the kitchen. I normally buy her cakes but I decided to try my hand at it. 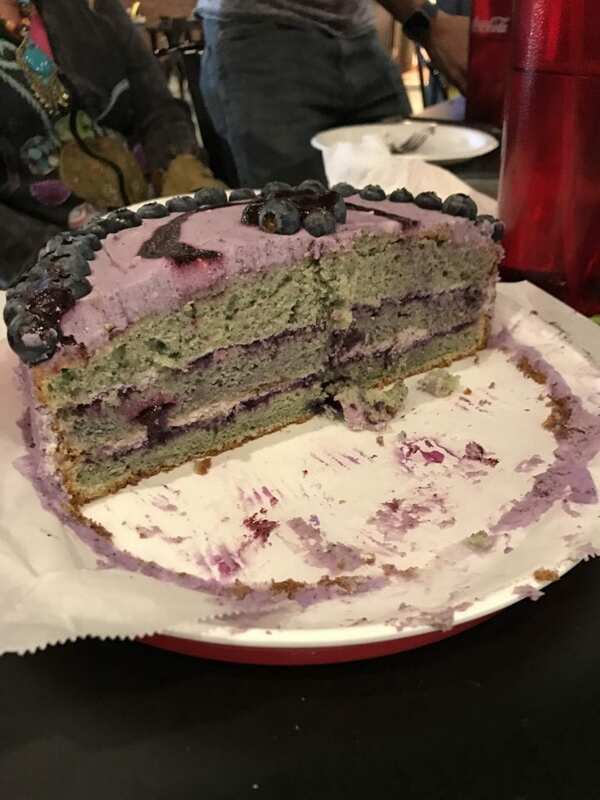 I ended up making a sponge cake with blueberries backed in with a blueberry puree layer and a blueberry chantilly mascarpone frosting. Then I decorated it with more blueberries. Everyone loved it. 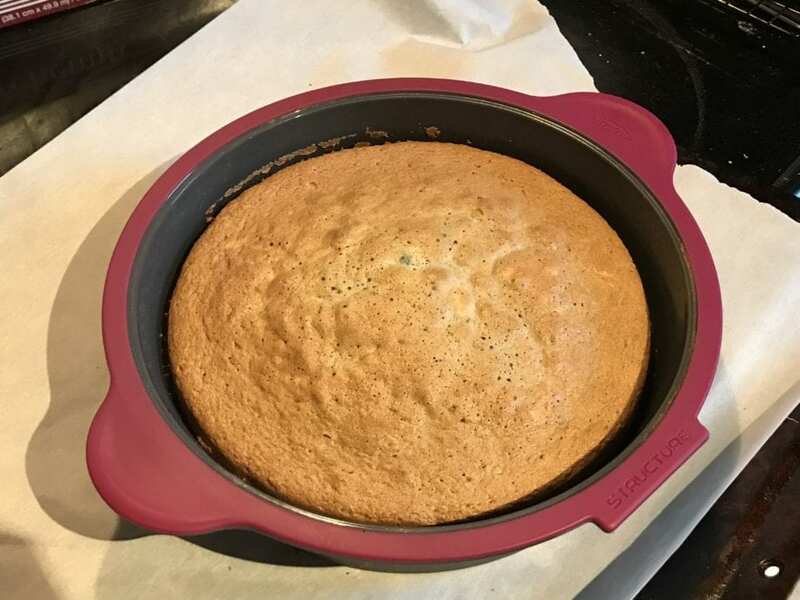 We got this new cake pan from Trudeau that has a silicone base so that it easily comes out of the pan and a reinforced side so that it doesn't collapse with the cake mix in it. All I had to do was butter the inside and it pops right out. Squish thought is was cool. We were also sent these adorable unicorn horns from Brooklyn Owl. 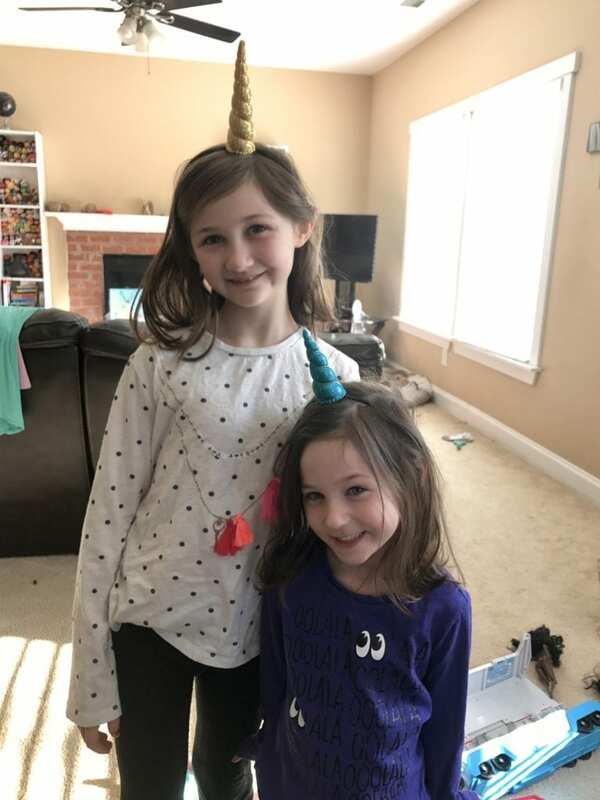 They are headbands with the plush, sparkly horns attached to them. Squish wore a smaller turquoise one (that I may have stolen for a picture) while her big sister got a longer gold one. They wore them for most of the party. Everyone was asking me about them. My husband wanted to show everyone how sweet and loving this kid is so we wrapped up a pineapple for her birthday and gave it to her. 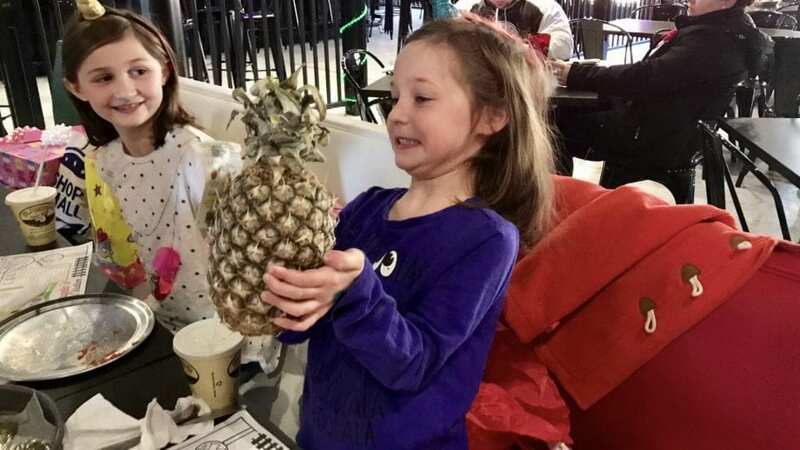 She was just as excited opening the pineapple as she was for everything else. We sang Happy Birthday and blew out the candles on another year in the books. I still get emails and comments about babies with SVT being born early from scared family members. While I can't promise things will turn out the way they did for us, I try to lift their spirits during this scary time. I tell them that despite the doctors and cardiologists telling me that they were having difficulty finding the best meds for her and that we needed to be prepared for lots of heart monitoring, we left the hospital without another SVT episode. She will occasionally mention her chest or heart and I listen to it but I'm no longer the panic-stricken mess that I was 5 years ago. 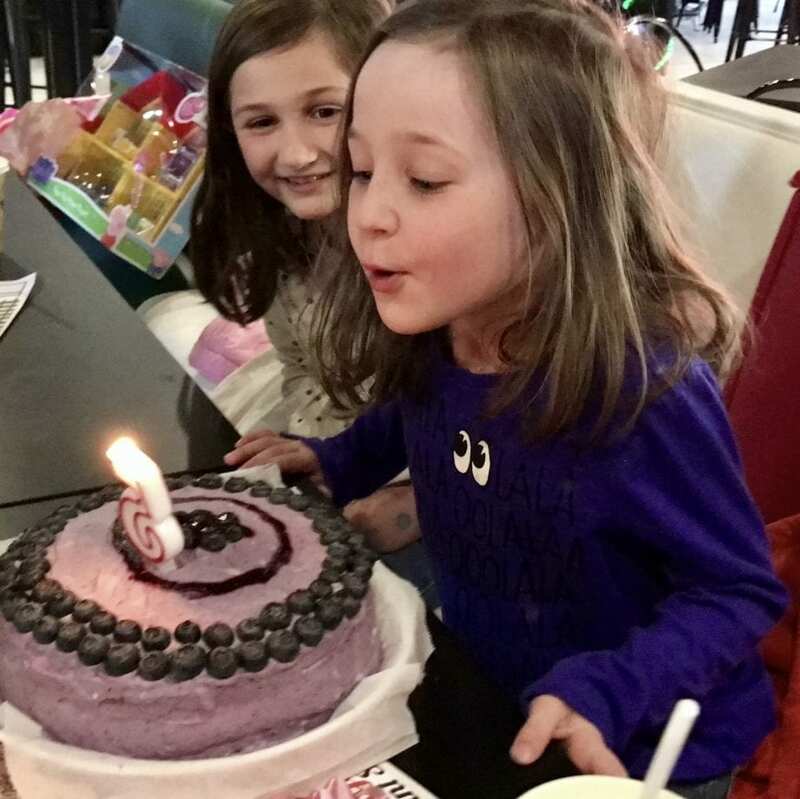 After we enjoyed out delicious cake together we played arcade games, a round of mini golf, and frozen yogurt together as a family. It was such a wonderful day! The Trudeau Cake Pan and Brooklyn Owl Unicorn Horns were supplied to me for my honest opinion. All thoughts are my own. What a yummy looking cake! I love blueberry anything! And that photo of you with the horn on was GREAT!! Happy Birthday squish!